Pickup trucks are widely preferred around the world due to their reliability, comfortable drive, and convenience. There are a number of options available in the market but buying a used truck can help you save a great deal of money. However, buying a used a vehicle can be challenging and can also become a hassle in the long term if you end up making a poor choice. 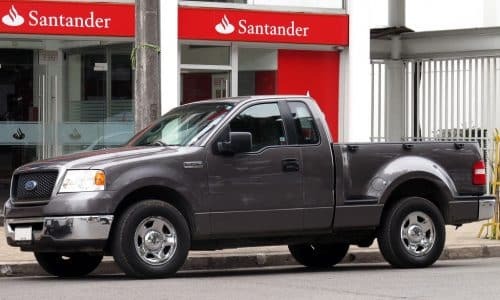 Although there are a number of steps you should take before buying a used truck but there are some pickup trucks available in the market which have a reputation for being solid and reliable and we will discuss them in this article. 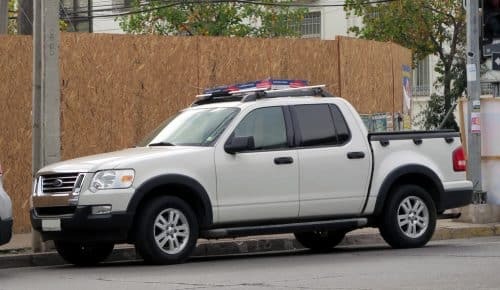 The 2008 Dodge Dakota can be classified as a mid-size pickup truck and boasts a large six-passenger seating capacity. Although the interior is quite spacious, the use of low-grade material inside somehow damages the overall appeal of the truck. Powering the 2008 Dakota is a powerful V8 engine which makes 290 horsepower while a 210 horsepower V6 unit is also available. It is available in both extended cab and crew cab. The extended cab has only two seats while the crew cab accommodates seating capacity for five passengers. 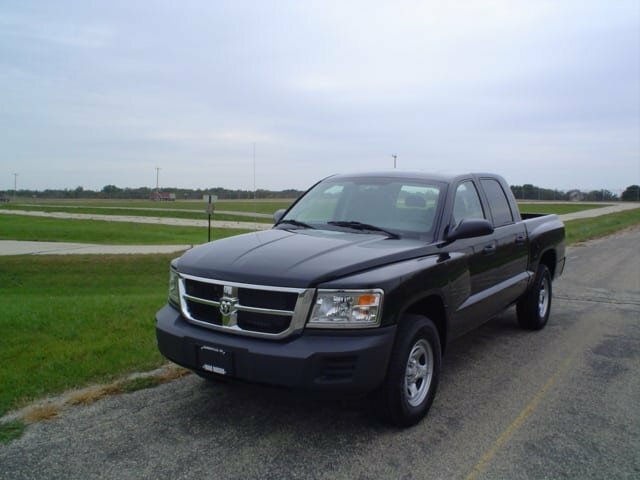 The average price of 2008 Dodge Dakota is $7,951. The 2006 Ford Ranger is well-known for its build quality, excellent fuel consumption, smooth driving, and maneuverability. It comes with three engine choices including a 143 horsepower four-cylinder unit and two V-6 options paired with either a manual or automatic transmission system. The regular model has 111.5 to 117.5-inch wheelbase which makes a roomy interior while the 6-foot cargo bed is superb to carry all sorts of equipment. The 2008 Colorado as the name suggests is known for its rugged exterior design and a bold persona. It comes in regular cab, extended cab, and a crew cab model. The regular cab model has a 111.3-inch wheelbase while the extended models have a large 126-inch long wheelbase. Under the hood, the 2008 Colorado carries a 2.9-liter four-cylinder engine that delivers 185 horsepower and 190 pounds-feet of torque. Another 3.7-liter unit is available which offers 242 horsepower and 242 lb-ft of torque. 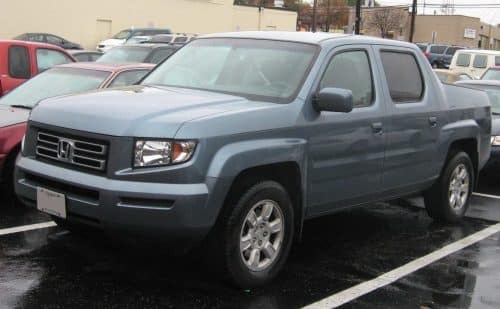 The average price of 2008 Chevrolet Colorado is between $4,500 and $8,900. 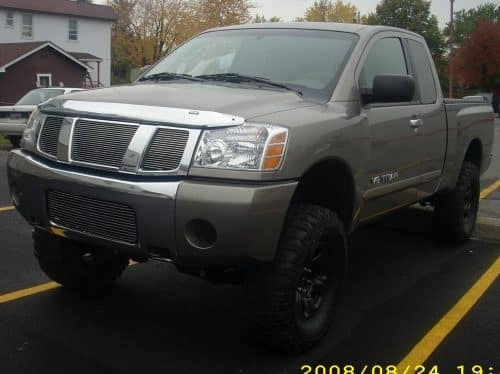 Popular for its off-roading capability, rigid body structure, and impeccable handling, the 2007 Nissan Titan comes equipped with a 5.6-liter V-8 engine capable of developing 317 horsepower. 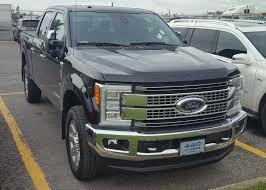 It is available in two configurations, a four-door King cab, and Crew cab. This truck has a maximum towing capacity of 9,400 pounds and is loaded with a number of interior amenities such as CD stereo system, cruise control, rear-seat entertainment system and a lot more. 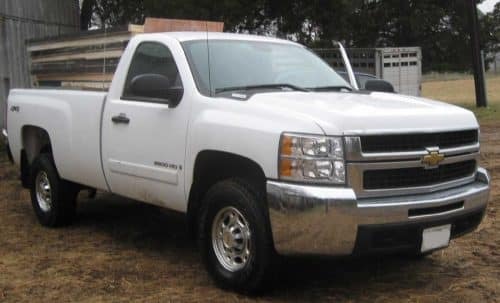 The 2008 Chevrolet Silverado is highly regarded by truck enthusiasts due to its reliability and capability. It comes equipped with a 2.4-liter four-cylinder engine which develops 152-horsepower and offers a fuel economy of up to 19 mpg in the city and 23 mpg on the highway. The engine is mated with a five-speed manual transmission and delivers an excellent drive. 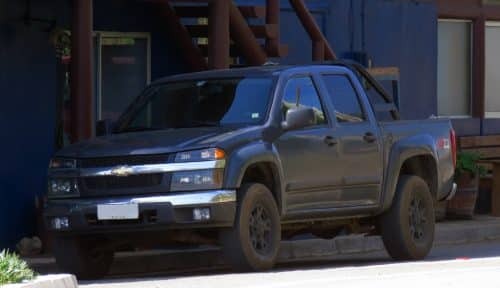 The average price of 2008 Silverado ranges between $5,500 and $8,800. Carrying a powerful V8 engine, the 2010 GMC Canyon is one of a kind pickup truck popular for its fuel-efficient drive and impressive design. The V8 unit delivers 300 horsepower and 320 pounds’ feet of torque while another 2.9-liter four-cylinder and 3.7-liter five-cylinder unit are also available. The regular cab version can accommodate three passengers while the extended crew cab model can seat up to six people inside the truck. 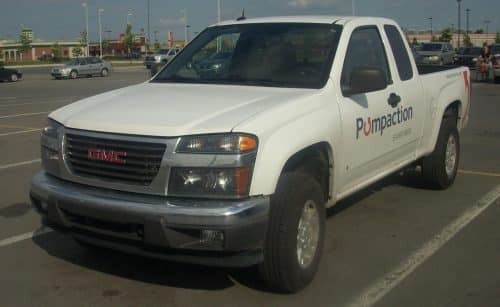 The average price of 2010 GMC Canyon is $9,912. The 2008 Ford F-150 is one of the best-selling truck in America with superior ride quality, comfortable interior, and a powerful drive. The F-150 is popular for its all-rounder performance, comfort and capability. It is available in a number of engine choices including a 4.2-liter V6, a 4.6-liter V8, and a 5.4-liter V8 unit. The V8 is paired to a four-speed automatic transmission while the V6 is mated with either a four-speed automatic or five-speed manual gearbox. It offers 13 to 14 mpg average in the city and about 17 – 20 mpg average in the highway. On the inside, an optional rearview camera is available along with a DVD-based navigation system. 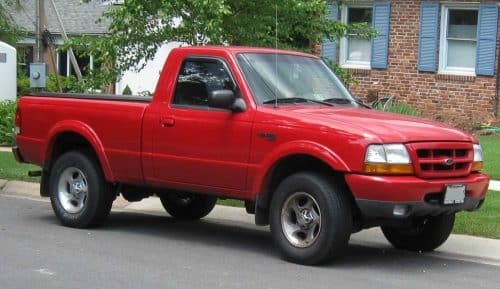 The 2008 ford F-150 is available between $4,400 and $10,600. The 2007 Honda Ridgeline extends a roomy cabin with excellent front bucket seats and a spacious storage compartment. It is powered by a 3.5-liter V6 engine and has about eight inches of ground clearance along with an impressive all-wheel-drive system to conquer any sort of terrain. On the inside, standard equipment includes an air-conditioning system, cruise control, CD stereo system, power-sliding rear window and a number of driving assistance systems including vehicle stability assist. It is available in four trim levels namely – RT, RTX, RTS and the range-topping RTL. It is available in the market for about $9,116. The 2007 Chevrolet Avalanche is ideal for those who prefer off-roading and require the capability of a full-size utility vehicle. It carries a 5.3-liter V8 engine while another 6.0-liter V8 unit is available as well. The 2007 Avalanche has a towing capacity of about 8,000 pounds and can easily help you pull a boat or a trailer. It is also equipped with an Active fuel management system for improved fuel consumption. 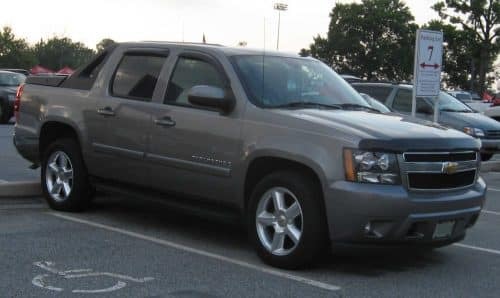 The average selling price of the used 2007 Chevrolet Avalanche is $9,000. The 2008 Ford Explorer Sport Trac is known to deliver a solid and powerful drive thanks to its V8 engine that offers 292-horsepower. The interior is roomy and includes a 12-volt outlet in the cargo box. With the 6,600-pound towing capacity, you can pull your boat or trailer easily. It costs an average of $9,100.